Did you know that one could visit more than 9 World Heritage Sites in and around Delhi? Yes it is true! Delhi, the capital city of India, has a history dating back to ancient time of Mahabharata. Placed on the banks of river Yamuna, the Taj Mahal is a beautiful white-marble mausoleum in the Mughal city of Agra. Renowned worldwide as ‘the jewel of Muslim architecture in India’, it was commissioned by the Mughal emperor Shah Jahan in the memory of his beloved wife Mumtaz Mahal. Admired all around the world for its love tale, it boasts of an architecture that is a mix of Ottoman Turkish, Islamic, Indian and Persian architectural styles. Declared a World Heritage Site in 1983, its construction started in 1632 and got completed in 1653. The mortal remains of Shah Jahan and Mumtaz Mahal are buried in the Taj Mahal that consists of detailed inlay of semi-precious stones. Taj Mahal tour is one of the most important highlights of all golden triangle tour packages in India. 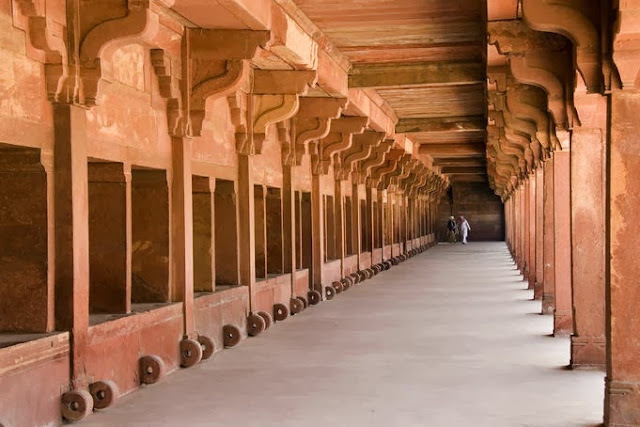 Erected during the second half of the 16th century, Fatehpur Sikri was the erstwhile capital of Mughal Emperor Akbar for around 10 years between 1571 and 1585. Founded in 1569, Akbar built this complex in the honour of Sufi Saint Salim Chishti.This impressive architecture is an excellent proof of the evolution of town planning in India like Old Delhi, then known as Shahjahanabad. There are several structures within its walls including harem, a mosque, palaces, private quarters and other necessary buildings. Diwan-i-Am, Diwan-i-Kas , Ranch Mahal, Buland Damaza, Jama Masjid, Daulat Khana are some of the prime structures. Earlier it was named as Fatehabad or the ‘City of Victory’. Another UNESCO World Heritage site, Agra Fort is placed around 2.5 km north westwards of the Taj Mahal. Known as a walled city, was originally a brick fort that was owned by Sikarwar Rajputs. It was captured by Sikandar Lodi, the Sultan of Delhi in 1080 who later shifted his capital to Agra and made this fort his home. Later, his son Ibrahim Lodi built a mosque, a number of palaces and wells within the fort. After several years, Shah Jahan, the grandson of Akbar, also resided in the fort and it was during his reign that this structure flourished and added white-marble structures with semi-precious gems and gold inlays after destroying the earlier ones. Inspired by Persian architecture, the Humayun’s Tomb is the burial place of Mughal emperor Nasir ud-din Muhammad Humayun. Constructed by his widow Hamida Banu Begum or Haji Begam after 14 years of his death in 1569, the tomb is a synthesis of Persian and Indian architectural style. 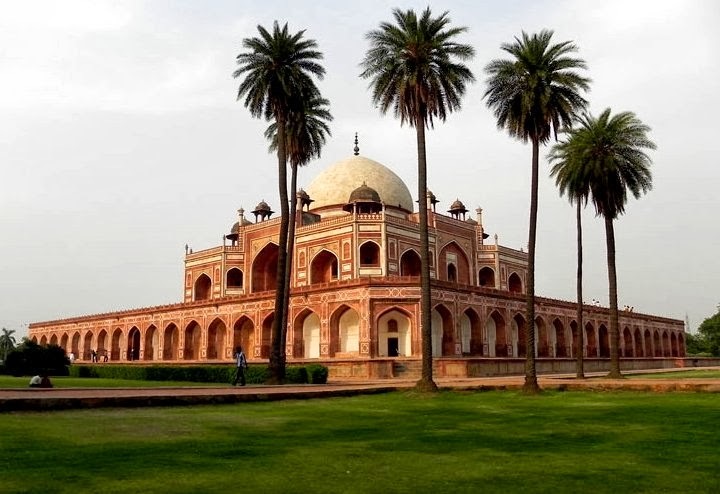 It is believed that Humayun himself had planned the architecture of his tomb, though there is no proof of it. The main architect of the tomb was Mirak Mirza Ghiyath. Placed in the centre of a square-shaped garden, this red sandstone double-storey square tomb has the grave in an octagonal central chamber. This site is accessible through a passage towards the south. Built in red and buff sandstone, Qutub Minar is one of the UNESCO World Heritage Sites in Delhi besides the Humayun's Tomb and the Red Fort Complex. The highest tower in India, it is 72.5 meters high. Qutb Minar and its monuments are a major tourist attraction here. The diameter of the Minar is 14.32 m at the base and around 2.75 m on the top. Its foundation was laid by Qutbu’d-Din Aibak in 1199 and the construction was finished by Shamsu’d-Din Iltutmish, his son-in-law and successor. The walls of the Minar consist of inscriptions in Arabic and Nagari. Quwwat-ul-Islam Mosque, the Iron Pillar, a mosque, The tomb of Iltutmish, Ala’i-Darwaza, Ala’i Minar are some of the other monuments in the Qutb Minar Complex. 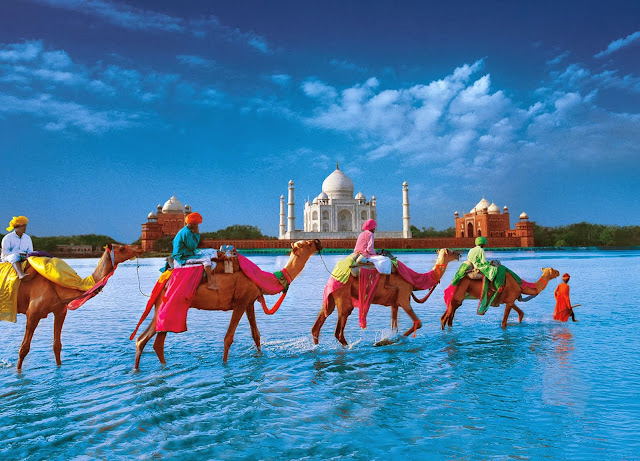 India's Golden Triangle tour is one of the best option to explore these gems of India and get a peek into the rich heritage and culture of this incredible country.